Child ViSion™ tackles poor vision by providing self-adjustable glasses through school-based distribution programs in the developing world. 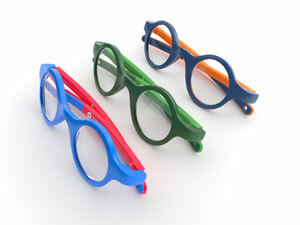 Child Vision™ has developed self-adjustable glasses which the wearer is able to adjust until they can see clearly. These glasses are based on a fluid-filled lens technology that is similar to that used in the Adspecs, the original self-adjustable, fluid-filled glasses developed by Professor Joshua Silver. While the Adspecs were designed for use by adults, the Child Vision™ glasses have been developed specifically for use by young people aged from 12-18. These glasses are small and light, and have been designed to withstand hard use in challenging environments. The Centre for Vision in the Developing World (CVDW) is based in Oxford, UK, and was founded to study the clinical and scientific issues around providing vision correction in the developing world. It has a particular focus on self-refraction, and was founded by Professor Joshua Silver, inventor of Adspecs, the world’s first self-adjustable glasses.